Are you interested to make your career in the field of Design? Then.. 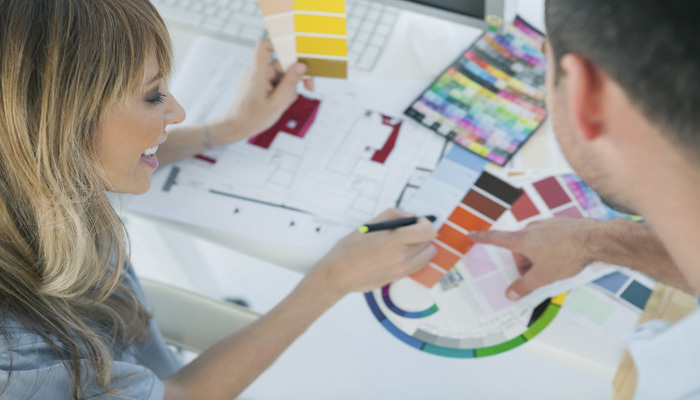 Bachelor of Design (B.Des) could be a best gateway to enter in the Fashion & Design Industry. Firstly, let us explain about B.Des programme. “The Bachelor of Design also referred as B.Des or B.Design is an undergraduate academic degree in the field of designing. It deals with the designing of a part or whole structure of a shape, configuration, etc”. B.Des degrees have been very trending in Canada, Australia and United States. Besides only theory classes, it also includes Exhibitions, Fashion Shows, Workshops, Seminars and many other activities. You can also study higher qualification like M.Des (Master of Design). It provides you the self-employment opportunities as well as also generates jobs for others. It also offers fame, glamour, success and higher pay packages to the qualified ones. It will make you ready for a professional career in the fashion industry. Am I eligible to apply for B.Des course? After completing B.Des course, you can go for M.Des (Master of Design), Master of Fine Arts (MFA – Fashion Design) and Master of Arts (MA – Fashion Design). You must have good communication and interpersonal skills as you need to describe your ideas to the clients. You should be creative, imaginative and self motivated. You should posses a good knowledge of past and present styles of design. Various colleges give admissions to students through the merit list. The merit list will be drawn on the basis of marks scored in the qualifying examination. Some other colleges also give admission through entrance exams. Are there any good colleges in India to purse B.Des programme? What are the career opportunities with a B.Des degree? There are lots of job opportunities are available for a B.Des graduate in the private as well as public sector. With this degree, you can also find jobs in abroad as well. You can take part in exhibitions and auctions of your creative works that can be organized in various parts of the world. After pursuing this course, you can easily become a Graphic Designer who creates graphics for advertisement, publishing houses and many others. You can also opt teaching jobs in various reputed colleges and institutions of the country. Some top recruiters in this field are Mindtree Ltd, Book My Show, Aapna Infotech, Multia Studio, Camphire and many others. “Attractive salary packages are offered to B.Des qualified candidates around the world”. As a Fashion Designer, you can earn a starting salary between Rs. 2 to 3 lacs per year. With a good position and experience, you can start earning Rs. 6 to 7 lacs per annum. Each job has a different salary package for different experience and different qualification. The salary of a fashion designer shall vary on various factors such as working location, candidate’s qualification, recruiters, experience, working skills, etc. “After gaining fame & enough experience in this field, you can earn beyond the limits”. For any other details about Bachelor of Design (B.Des), you can leave your queries below. drawing and painting necessary for B.des. course? Hey. I am currently pursuing B.Voc Web Designing from DU. I am confused what to do further. can you please guide me a little bit? Do we need to give CET exam for admission in b.des colleges?? Iam interested in interaction design. Can i do b.des course after it ? If yes! Than what is the procedure? Hai,im doing my higher sec second year.i have’nt applied for any entrance exam.am i able to join the b.des course in any one of the best colleges over tamil nadu like chennai.